Sun protection for hair should be part of your vacation style. Whether you’re heading to the beach or another vacation destination, you may not just be worried about what you will wear, but how you will fix your hair as well. Using proper sun protection for hair is a necessity if you plan on spending a lot of time in the sun. 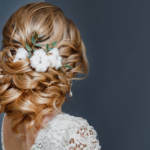 The following hairstyles will give you the look you want, while keeping you cool, especially if you use hair extensions. A scarf can be a stylish way to keep your hair off your neck and out of your face, especially on a sweltering summer day on the beach or about town. There are many ways in which you can use a head scarf to style your hair. For example, place the scarf along your neck under your hair and tie it at the front above your forehead to keep your hair back. You could also pile your hair on top of your head before tying the scarf around your head to help keep it off your neck altogether. Today’s hairstyles are trending toward a messy style that looks like you hardly took any time at all to fix your hair. As long as you’re using a good sulfate free shampoo and conditioner, you will be able to pull off this look without looking grungy. Simply secure your hair into a ponytail at the center of the back of your head. Place a headband in the desired position on your head. Then use the pointed end of a comb to gently fluff the hair directly behind the headband forward for extra body. Separate a small section of your hair from the ponytail, tease it with a brush, curl it underneath toward the ponytail holder and secure the ends in place with a bobby pin. Repeat this step until all of the hair from the ponytail is secured in place. Hair extensions can help you achieve great beach hairstyles. 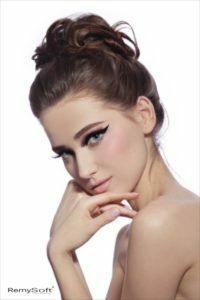 The bun has long been a preferred hairstyle for those hot summer days. If you have curly hair, achieving this look can be difficult. To create this look, pull your hair back into a ponytail. Apply a small amount of hairspray to the scalp area to help prevent frizzing. 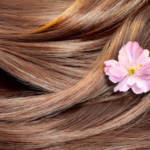 Separate a small section of hair from the ponytail and twist the strands tightly. Grab one strand at the end and gently push the remainder of the hair back toward the ponytail band. Secure the hair in place with a bobby pin. Repeat this process until all of your hair is secured into the bun. When you’re heading to the beach or out to have fun on your vacation, you don’t always have a lot of time, but you need a hairstyle that keeps you comfortable without looking sloppy. These hairstyles, along with sun protection for hair, can be a great way to keep your hair looking great and ensures you don’t waste too much of your vacation time getting ready to head out. If you’re looking for a sulfate free shampoo and conditioner to keep your hair extensions looking great, contact us. We have created hair products designed with your hair in mind.